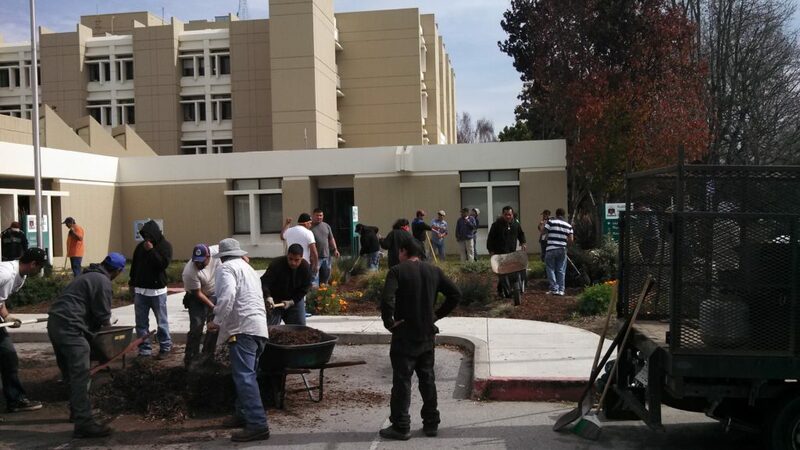 The Monterey Bay Green Gardener Program trains and certifies landscape industry workers in Monterey Bay-Friendly Landscaping design and maintenance practices. In order to become certified, gardeners attend the certification-level series which consists of ten weekday evening class sessions for a total of 20-30 hours of instruction and a Saturday class project. Gardeners must obtain a passing score on a final exam that covers all core subjects and must complete a comprehensive self-evaluation of their landscape practices. Continuing education is not required to maintain certification. However, certified gardeners are encouraged to attend continuing education classes. When can I attend the next class? The next 10-week Green Gardener Certification-level course will be offered January 16 -March 20, 2019 at the Watsonville/Aptos Adult School, 294 Green Valley Road in Watsonville. In person, Monday – Thursday 8:00 a.m. to 8:30 p.m, Friday, 8:00 a.m. to 4:30 p.m.
Skill-Building Practice takes place in the Monterey Bay Friendly demonstration landscape at the Watsonville-Aptos Adult School. Who are the Instructors and What Topics are Covered? Green Gardener instructors are landscape contractors and experts in the field. The 10-week certification-level is offered in both English and Spanish. The advanced curriculum provides an additional four-ten-week series as funding allows. 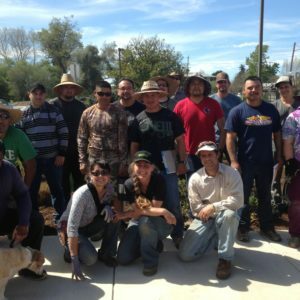 The Bay-Friendly Landscaping Coalition offers workshops for backyard gardeners and training and certification for landscaping professionals living in the San Francisco Bay Area. (Alameda, Contra Costa, Marin, Napa, San Francisco, and Santa Clara Counties). This program is an excellent local resource for continuing horticultural education. Check the schedule for trainings and apply online to attend. CLCA Water Managers must pass a written test, complete a water audit training and manage at least one property for one year and continue to manage a property at or below the landscape water budget established by the CLCA Water Management Performance Program.